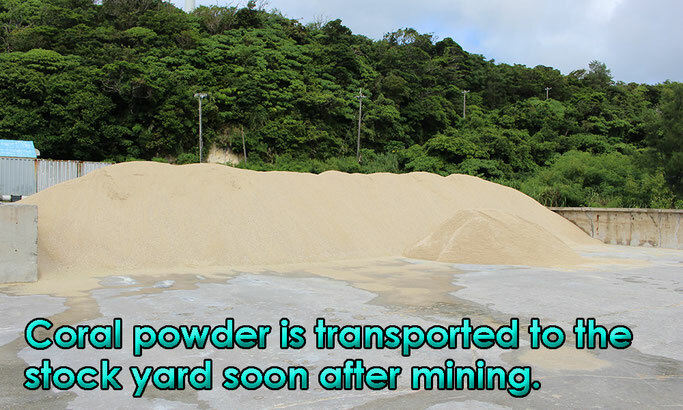 1) Hermatypic coral powder is useful in water purification, removing agrochemical, soil enhancement, food production. 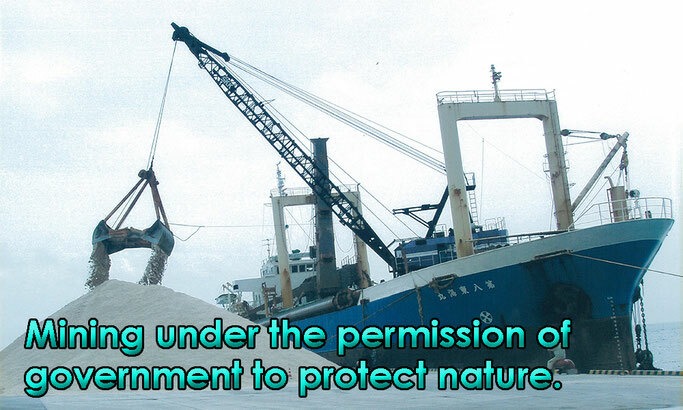 2) To protect natural ocean environment, we use only faded hermatypic coral under the permission of Okinawa government. 3) Throughout many years, lots of foraminifera, shellfish, fish have accumulated in the sea bed and formed rich mineral hermatypic coral bed. 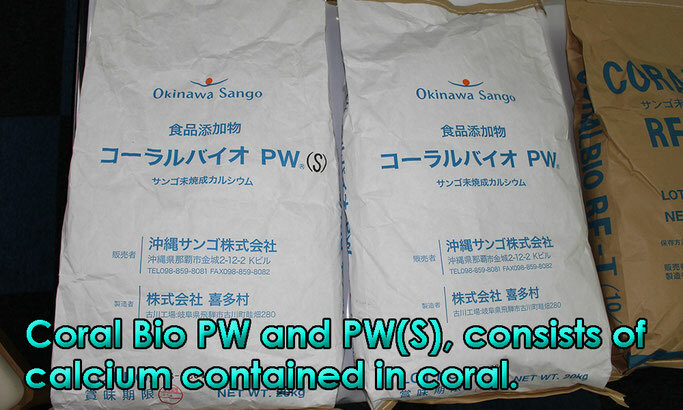 4) Okinawa hermatypic coral contains calcium, magnesium. 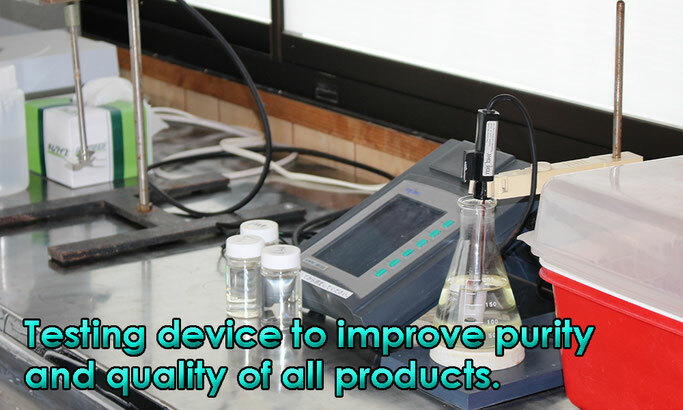 It has micro porous composition to absorb impurities. 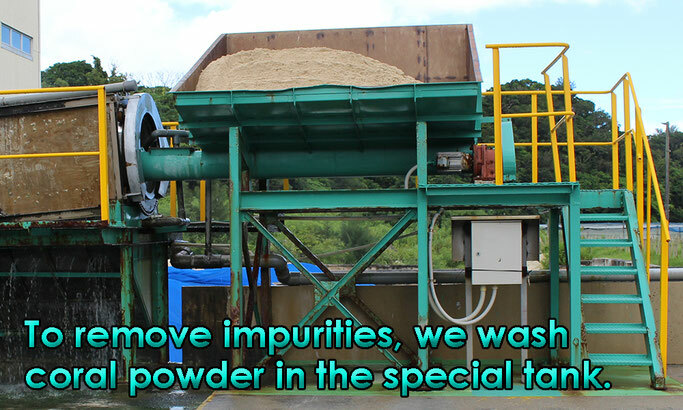 5) Because of micro porous composition, coral powder can be used in various purpose. 1) Faded hermatypic coral contains the richest magnesium among all natural products. 2) Hermatypic coral is called "sea vegetable" in Japan because of rich contents of minerals. 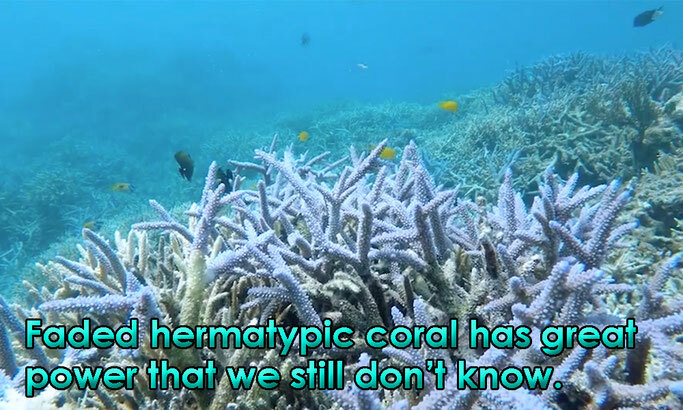 3) Like activated carbon, hermatypic coral has micro porous composition. 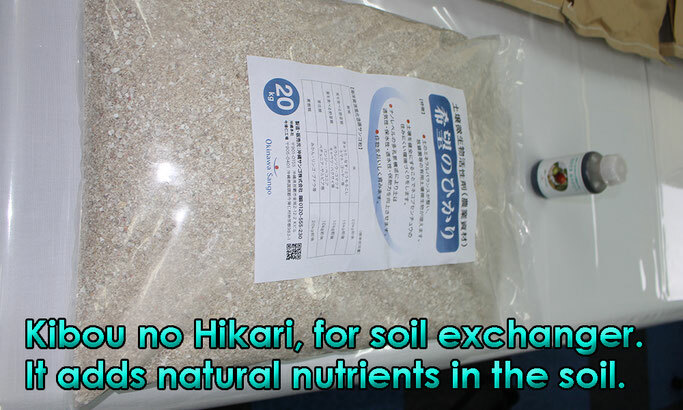 It has high capability of absorption, removal of impurities that can be used in farming, water treatment. 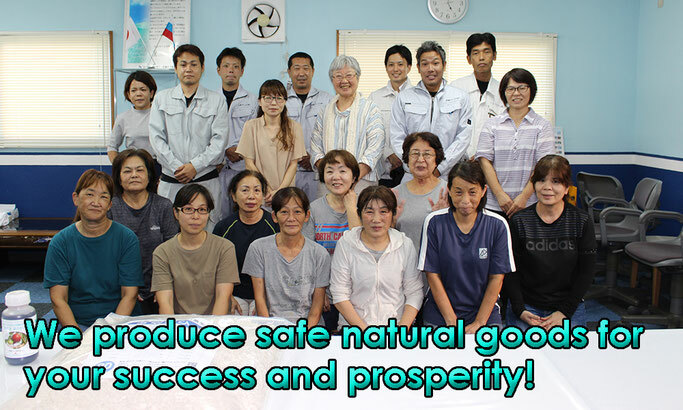 4) With the official approval of the governor of Okinawa prefecture, total production plan has been strictly controlled. It doesn't infringe with the Wasington Convention. 5) In Japan it has been approved as food additive in 1987. Not only supplement of calcium and magnesium, but also it can be used as umami (food flavor) additive. 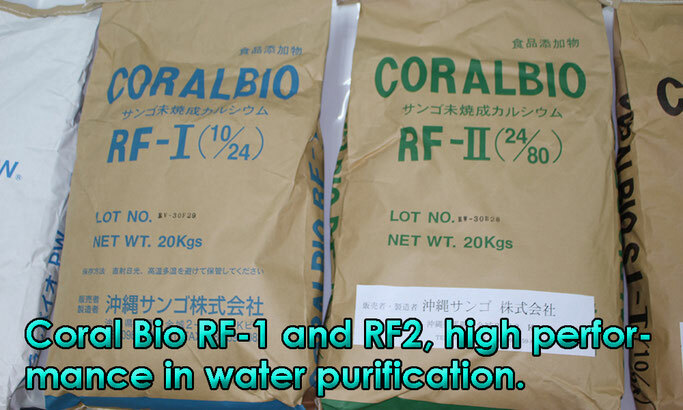 6) In Japan hermatypic coral is especially popular in water purification agent. Mineral contained in coral flows into water. 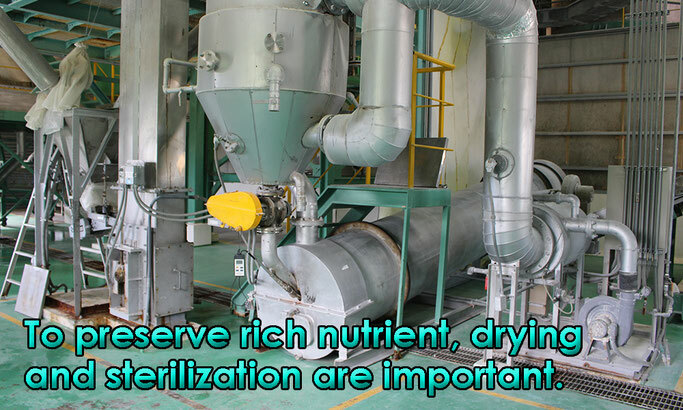 7) As soil exchanger, hermatypic coral powder can enhance activity of bacteria, improves soil condition such as air flow, water permeability, retainability of fertilizer. 3. Storage : Please avoid direct sunlight, high temperature, humidity. Store in cool dry place. 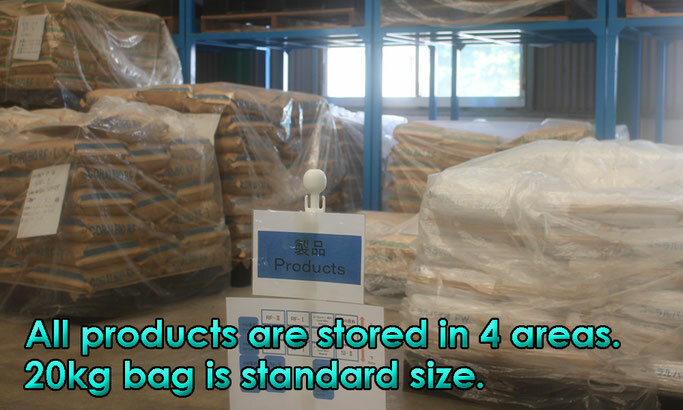 According to the research of Dr. Fusako Maehira of Ryukyu National University, the product has following effects. * Above are research on functional food ingredients. Not only safety but also functionality these effects have been proved. 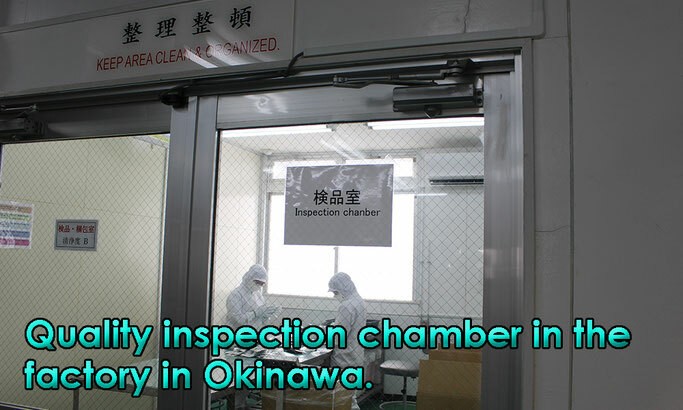 * Due to strong black tide, water contamination risk is significantly low in Okinawa area. 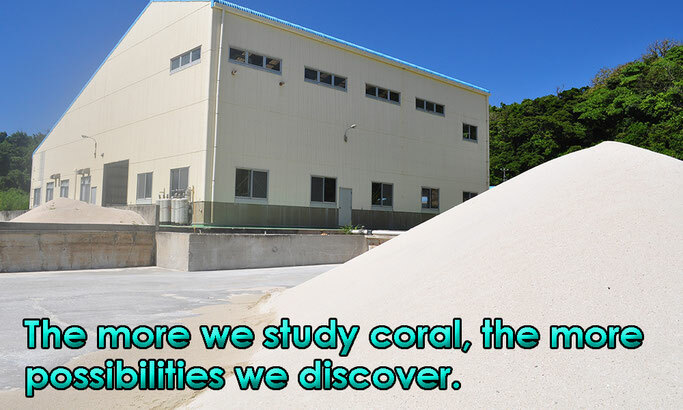 Coral in Okinawa contains very little impurities and safety level is quite high. 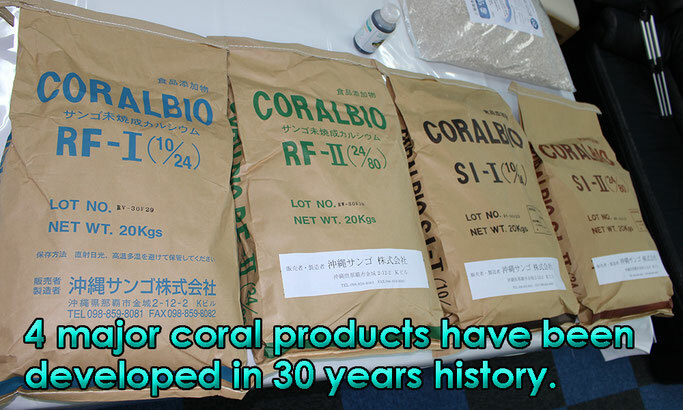 * Coral Bio have been sold to many retailers in Japan. 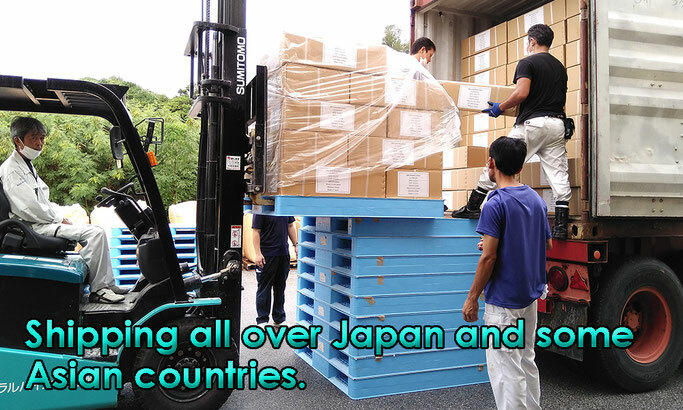 * It has been sold in Australia, USA, Russia, Singapore and several countries. 1) Building soil : After adding organic compost such as bran, rapeseed meal, thin it 1000-2000 times and spread it in soil. 2) Fruit : When root star growing, thin 5000 times and spread it 2-3 times in the root part. After blooming flower, thin 2000 times and spread 2-3 times in the root part. 2 weeks before harvest and 1 week before harvest, thin 2000 times one time. 3) Leaf vegetable : Before harvest, thin 5000 times and spread 6-7 times. Thinning 5000-10000 times and spreading every 5 days is also effective. 4) Root vegetable : Thin 5000 times and spread every week. When root grows, thin 2000-3000 times and spread. 5) Rice : Soak seed in 2000 times thinned liquid. During growth thin 5000 times and spread several times. 1) Old woman could climb stairway after taking calcium from coral powder. 3) Bone metabolism was improved. 4) Bad smell of drinking water was removed. 5) Plant grew well even in the shade covered place in house. 1) Kibou no Hikari works slow while Ohisama Arigato works fast. 2) Bacteria increased and replanting failure was reduced due to good mineral balance in soil with using it. 3) Root of rice grew thicker and didn't fall down even in strong wind. 4) Plant became more resistant against disease. Damage from insect decreased. 5) Harvest of mellon got 1 month earlier because leaf, stem, root grew faster. 6) Sugar content in Gorubee wine increased from 17 to 21-23 degree after using it. 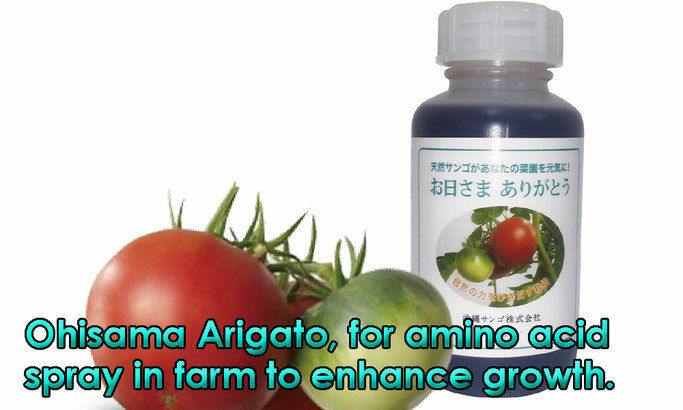 7) More flavor, more freshness, more taste after using in plant and fruit. Modern technology made our life convenient and comfortable. However at the same time we have lost something important. Too much productivity oriented way of thinking might have made us miss real power of nature. Compared to old times, our soil have lost nutrients and it directly affected our health. 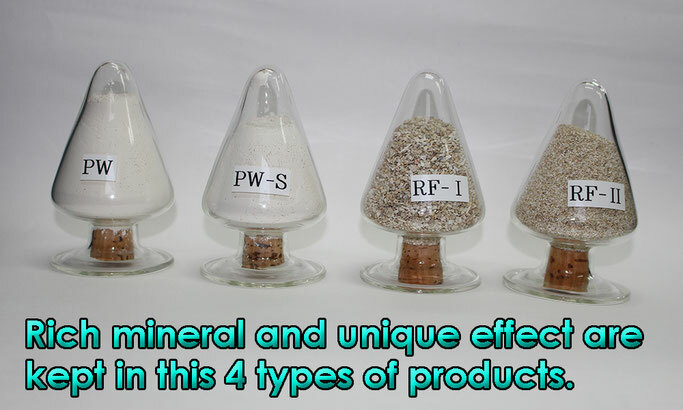 We encountered coral powder 30 years ago, we have produced various types of products to make use of this amazing natural power in our life, especially safe foods. Coral have lived many decades without moving, however it has surprising power that can be used in our life and business. We were amazed by the potentiality of coral, but we are more amazed with the unknown power of coral. The more we research, the more possibilities we find. Let's create natural, safe, comfortable, convenient environment for our mother earth, plant, water and food together with our products.